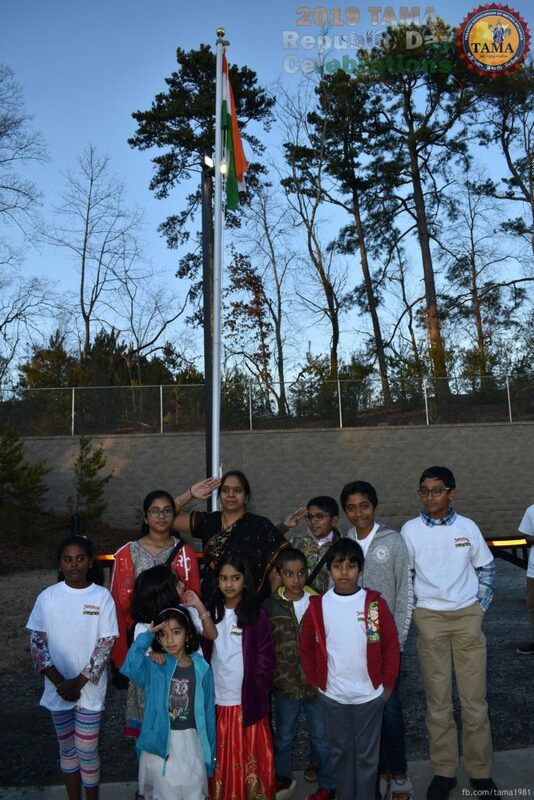 Atlanta, GA, February 8, 2019: Telugu Association of Metro Atlanta (TAMA) celebrated India’s 70th Republic day in a grand way. 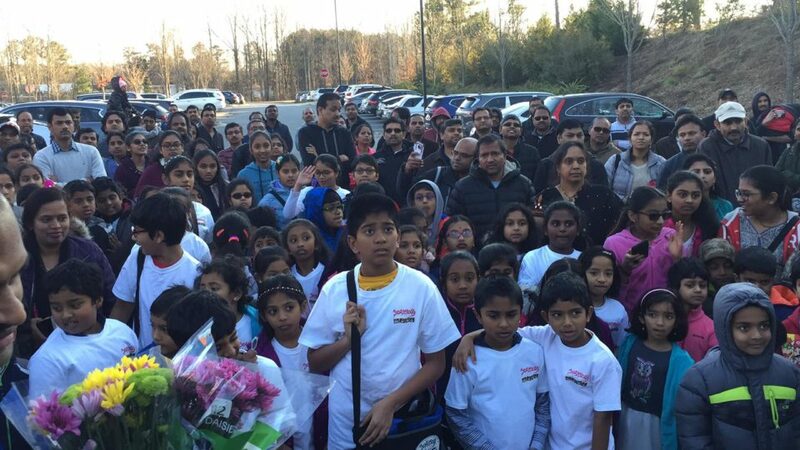 This event was held on January 26th, Saturday at DeSana Middle School in Alpharetta, where the weekly Telugu Manabadi classes are conducted. Despite cold weather, more than 500 kids, adults and teachers joined the celebrations along with TAMA Executive Committee and Board of Directors. The event was kicked off with a welcome note by TAMA President Venky Gadde. Chairman Vinay Maddineni greeted Manabadi coordinator Vijay Ravilla and other teachers with flower bouquets. Ravilla took the honor and hoisted the tri-color flag high with patriotic fervor. Everyone recited patriotic songs of devotion along with national anthem, saluted the Indian flag with respect and love towards the motherland, India. On this occasion, Ravilla spoke about the importance and reason for celebrating India’s Republic day. He also said, it is very laudable to see more than 500 Telugu people participating in this patriotic event. Many people opined that this event reminded them of their childhood, and similar celebrations in their schools. Everyone felt happy that TAMA is continuing the tradition of Republic Day celebrations and making kids part of it. Kids were gifted with goody bags and snacks were served for adults. In his closing remarks and vote of thanks, president Venky Gadde thanked Atlanta Food Distributors for sponsoring snacks, fellow TAMA Executive Committee & Board Members, Manabadi coordinators, teachers and volunteers who helped in the event coordination and lastly attendees for making it a very successful and memorable event in TAMA history.